I purchased “Bliss” last month, and found this recipe for Oreo Brownies. Since Oreos are my fave store bought cookie, and I love brownies, I had to give this recipe a try. They were quick to put together and a real kid pleaser. More like a bar cookie than a brownie, similar to Nordy Bars. Great for an easy semi-home made treat. The cookbook: I loved the clean look of this book. Love that’s it’s a local author (Utah) and thought A Bountiful Kitchen readers would love it too. Great cookbook to add to your collection! 1. Leave a comment sharing what you love most about SPRING. It’s almost here! One entry per person. 2. If you post a link to this giveaway on your blog, three entries for you. 3. Please leave each of your comments separately. 4. You have until Wednesday March 17th at midnight to enter. Winner selected by The Random Counter and announced on Thursday March 18th. Line an 9 x 13 pan with foil, leaving an overhang of foil around the edges. Lightly grease the pan. In a large bowl, mix the chopped cookies with the butter. Pour half the mixture into the prepared pan. Sprinkle with the chips, marshmallows, and nuts. Top with the remaining cookie mixture. Pour the sweetened condensed milk evenly over the top. Bake for about 25-30 minutes, or until lightly golden. Let cool to room temperature and lift the bars from the pan. Peel back the foil and cut into serving pieces. -I omitted the nuts, partly bc I thought most kids don’t love nuts, and partly bc I thought nuts with this combo didn’t sound good. -I used closer to 1 1/2 cups each of choc chips and white chips, and used closer to 2 cups marshmallows total. -Also, think I would like this better cooked in an 8×8 or 9×9 pan, the brownies were a little on the thin side for me. Flowering pear trees…LOVE those blossoms! This cookbook looks so fun! No brainer…freezing at high school baseball games! My very favorite thing about Spring is the parallel it draws from Winter—Winter allows the rain and snow, for a couple of months, from dark, threatening clouds. Then, as if nothing ever happened, we rise to a perfectly sunny, cloudless day. A lovely, clean slate from the seemingly neverending cold. Forgiveness. My favorite thing about spring is watching the world come alive. I'm already seeing my hyacinths poking out of the ground. And I know more will follow quickly. And this Spring, I'm especially looking forward to enjoying my second trimester of pregnancy and welcoming a little girl this summer! Love your blog – I'll be back! The brownies look delicious! I'm loving that the snow is finally melting, after the worst snowfall in history here! It felt great to put away all the heavy winter coats!! I noticed yesterday that there are buds coming on the trees! I can't wait for the cherry blossom festival! I like being able to not wear socks around the house. And being able to sit out on the balcony without risking hypothermia. What I like about Spring? No more alpine skiing! I love the smell of fresh cut grass! So I'm looking forward to pulling the lawn mower out! I love the first flowers of spring, the crocuses, tulips and daffodils. I love waking up to the sun peeking through the blinds on a spring morning and being able to draw the curtains and feel the sun's warmth! That is what I LOVE about spring! One of my favorite things about Spring is that Summer is on its way! we can't wait for spring, we live full time in our motorhome and spring means outside living!!! and outside cooking, your welcome to come by and check out my blog and new cookbook! The light – definately the increase in light. It feels like the world is shrugging off the dark and dirty and embracing all of the coming warmth. Flowers and birds everywhere! Warmth! Finally I can emerge from 'hibernation' and play in the dirt! Plus, the BBQ is finally released from it's snow cave and waiting to be used. I love riding my bike and walking my dogs. Those brownies look delicious! I love the tulips and daffodils that come out. Something else I'm realizing is that I love the fact that we don't have to bundle up when we go outside! I love the smell of rain and warmth of the sun. I enjoy all the fun outdoor activities like BBQ and hiking. I love the sun on my face and thoughts of easter food! I love that there is life after death:) Such a comfort to my soul. I live in AZ so I love the spring because it feels like a normal summer anywhere else, we enjoy swimming and bbq's in the 85 degree weather! My favorite part of Spring is the cute baby animals that hatch/are born. Having it be light enough at night to go on a walk with the fam! And leaving the front door open. Oh Si! I love your blog! Favorite thing about spring… Walks with my baby!! Setting up the trampoline after a long winter hiatus from jumping. Nothing is better than the trampoline and the sun on your back! The first bulbs to poke there little tips out of the frost and snow. In my yard those hardy little things are the snow-drops. The daffodils can't be far behind. Hearing the birds chirpping early in the morning. Then getting the garden ready. It would have to be watching my tulips make their yearly appearance. Actually…I can't think of one thing I don't like! Love getting outside walking with friends. Totally delight in the little hyacinths coming up and their fragrance wafting across the gardens. Yum, Yum, Yum….I love oreo cookies and brownies. I can't wait to try that recipe. Thanks for the great give-away! So excited to share the recipe with friends of mine – I put a link to your site and the giveaway on my blog earlier tonight. Also, I forgot to mention in my earlier post what I like most about spring – it's the tulips! I can't wait to see all the tulips pop up in my garden!!! Cool breezes, just a cardy at night, saltwater sandals. Love Spring more than any other season! I posted a link on my blog to this blog. What I love most about spring is that the hours of light increase! Thanks and greating from Italy! I love spring because the world finally wakes up after the long, dark winter! I love this spring especially because my baby is due! yay! Spring is all about tulips, crocus, and anemones to me! I love spring because you never know what we're going to wake up to. It could be sunny, 45 degree's or a snowy blizzard. I enjoy both kinds of days- walking with the kids to the park or putting on a snowboard to catch the last days of winter! I am looking forward to the seeing and smelling the new flower blossoms all around me! Everything wakes up and starts over in the spring. Spring is my favorite season! With the sun shining on my face & the baby birds chirping in their nests, spring brings warmth & new life. 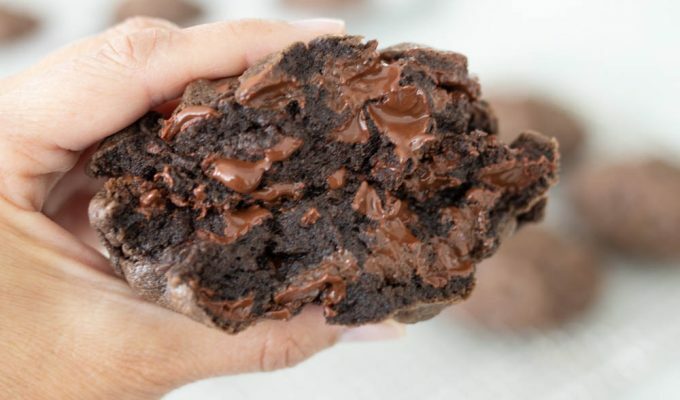 I love the look of these brownies! What I love about spring? The smell of the cherry blossoms. I love feeling the warmth of the sun. And my favorite thing about Spring must be that it is planting season. I can't wait to start planting herbs and vegetables in my garden! I love camping trips with the family. Our BBQ gets a lot of use. And I especially love getting together with friends at the beach. Oh, those look evilly rich and delicious!